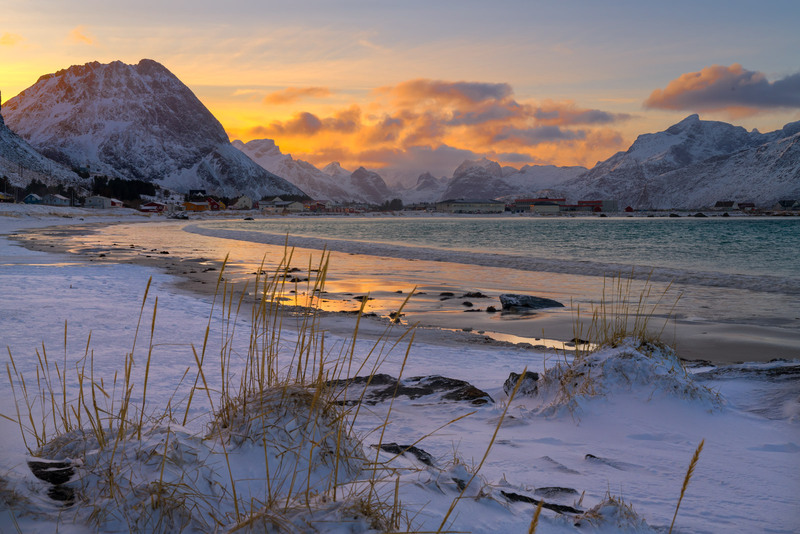 There are a lot of beaches on the fjords in the Lofoten Islands and almost all of them have great views of mountains that appear to rise straight out of the water. This beach was no exception. It took quite a few exposures here to get the wave line just right. Yes, that is snow on the beach, not white sand. You have to love what the winter can offer. Of course, the setting sun lighting up the clouds is the finishing touch.